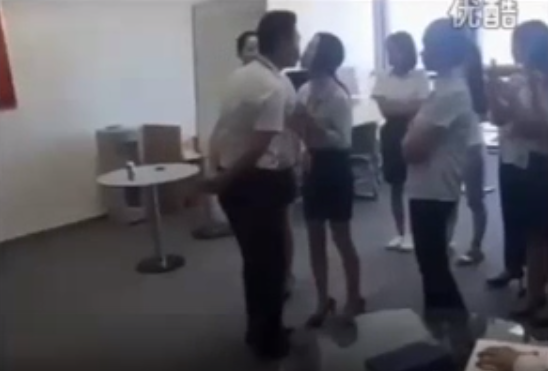 A Beijing employer is kissing his female staff every morning as part of the routine in his company, Chinese media reported. Everyday, at around 9:00am, female employees queue up to receive a kiss on the lips from their boss. According to reports, the man created the rule in order to "foster good relationships among colleagues." He claims that he got the idea from an American firm that does the same practice. The businessman said he and his workers became more united because of the morning kisses. A video of the Chinese boss giving a kiss to his female employees has emerged online which shocked many viewers. Watch it below.